P.O.B. Crane and Plant Services Ltd have been lifting big since its establishment in January 1999. There have been plenty of ups and downs in the meantime, which Managing Director Peter O’Brien filled us in on, along with some of the projects his cranes are currently involved in. The Irish construction industry is in a different place than it was a few years back and P.O.B. Crane and Plant Services Ltd in Blanchardstown is glad to hear the good news, and is ready for the challenges ahead. Headed up by Offaly native Peter O’Brien, the company has grown from strength to strength over the past 18 years, and is now feeling the benefits of an upturn in the property market around the capital. Peter started P.O.B. Crane and Plant Services Ltd having worked in the industry during his time in the UK and has come to learn the business inside out. He gave us the lowdown about his company and what they’ve been up to as of late. 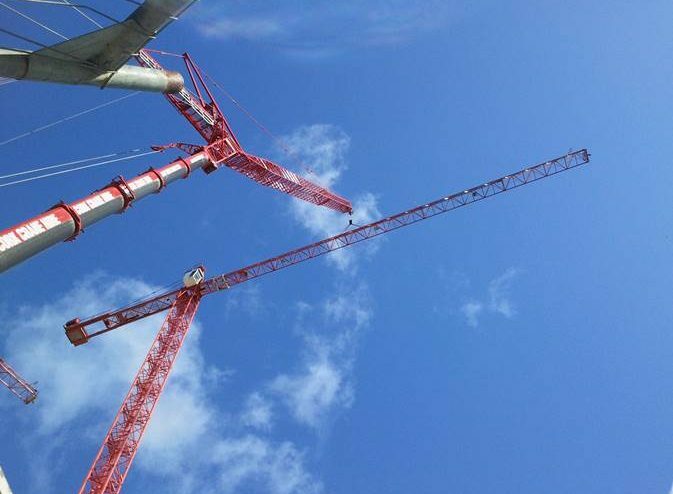 The company’s cranes go all over Ireland – and have also been in Scotland – but are mostly based throughout Dublin, where the demand has been as high as ever in recent years. Most of the cranes at P.O.B. Crane and Plant Services Ltd are currently out on site and Peter can’t ask for much more than that, as his clients continue to opt for our services and cranes for their projects. Now into a new year, 2017 looks to be very busy indeed for Peter and co, with some long-term projects already embarked on. With three quarters of their cranes presently out on hire, P.O.B. Crane and Plant Services Ltd are set to purchase at least five new cranes this year, 4 are already on order, to help cope with the business demand. Peter has no problem in doing so, with business continuing to thrive and demand for their cranes high. The firm offers its clients highly competitive rates, along with a first class service and reliability. Repeat business is always welcome and that’s something which Peter learned from his days in England when he first started out in this line of work. Peter had always had a strong interest in the Crane Hire business, but it was his move across the Irish Sea that saw him take the first steps towards setting up his own company. Now, almost 30 years later, that company is thriving to the point where they’re planning to increase the fleet of 34 cranes in order to keep up with the demand, which is a far cry from when he first started out in the business. The transition from working for a crane hire company to starting up his own was far from smooth for Peter, like any new business, it takes time to gain consistent clients. Add to that a harsh recession devastating the construction industry in Ireland come 2007 and you begin to get the picture with regards to how far P.O.B. Crane and Plant Services has come in the space of 18 years.